If you are a seasoned traveler, there isn’t much more boring and mundane – and critically important – than the safety announcements at the beginning of any flight. However, the problem with messaging that’s always the same (and boring and mundane) is that we tend to tune it out. In some cases, this is a good thing (we already know what to do! ); in other instances, we may miss an important update. Note: messaging can mean any piece of content – video, blog post, social media update, email marketing message, etc. Southwest Airlines (SWA) was the first airline – to my knowledge – that started having a bit of fun with the pre-flight announcements. I’ve heard quite a few SWA flight attendants sing the safety announcement. I’ve even heard one guy perform an original rap. They took something boring and mundane, and turned it in content that is human. 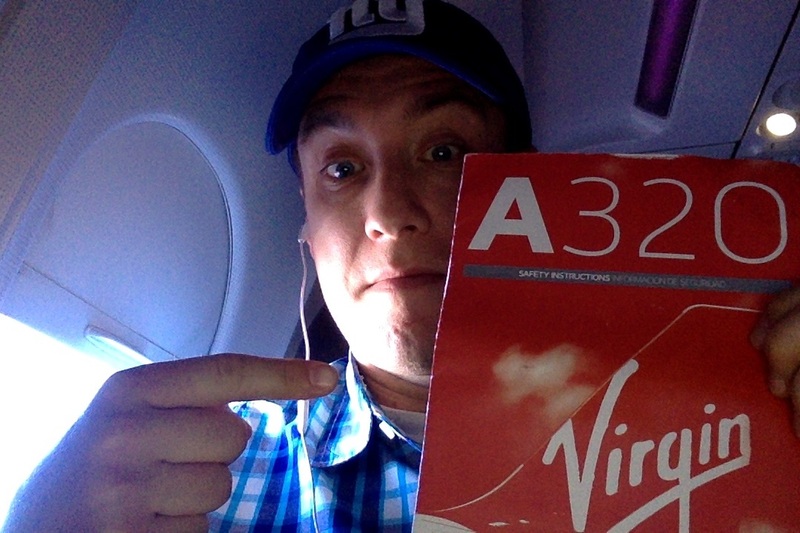 Since its first flight in 2007, Virgin America has embraced the SWA model of making airline travel fun. From the music they play as you print out your boarding pass (and when you board the plane), to the disco-like lighting in the cabin, Virgin exudes fun – and human! It’s well worth the next 5 minutes of your life. Yes, it’s a 5-minute long video…about airplane safety. 5 minutes! Trust me. Go watch it now. Then keep reading below. I’ll wait. Can’t see the video? Try watching directly on YouTube. I don’t know about you, but not only did the video capture my attention – for the entire 5 minutes — but I’ve found myself humming along with the tune! I can’t quite get the song out of my head, which is both a good and bad thing. Just as Ann Handley told us on this week’s podcast, any piece of innovative content should be useful, enjoyable, and inspirational. This video was 3 for 3. So the next time you begin working on a piece of content – an email marketing message, a direct mail flyer, a social media update, a blog post, a video, or anything else – consider adding a human touch. After all, 99.9% of the time, the people viewing your content are human.